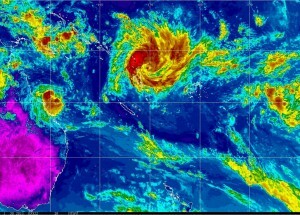 Tropical Cyclone Anthony is a bit of a worry for those directly in its path but if the predictions are correct it won’t be much worse than TC Tasha was on Christmas day. 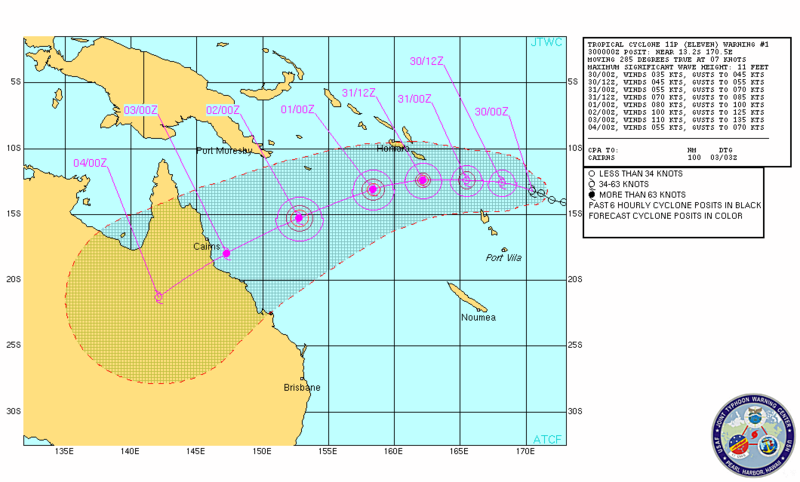 Tropical Cyclone Yasi is sitting behind Anthony, currently heading this way and is a bit bigger than TC Anthony. 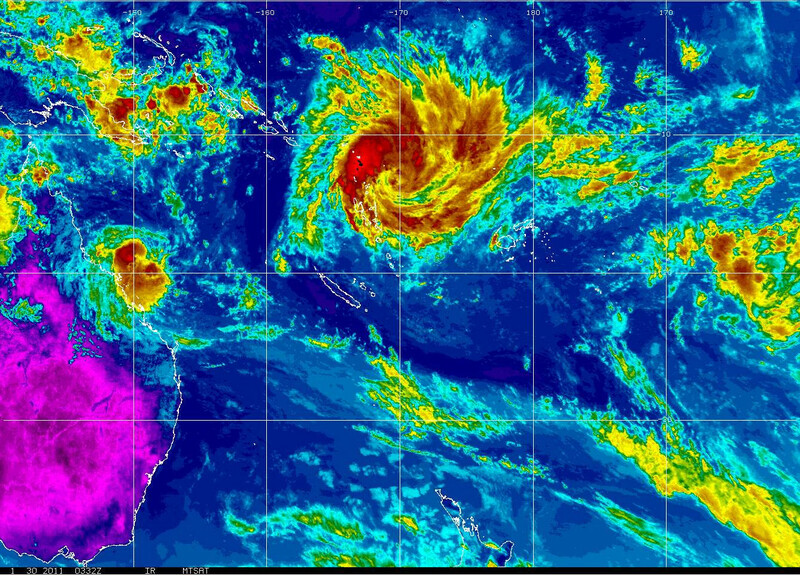 Here is the NOAA MTSAT IR Colourised Loop for the southern hemisphere. I’m hoping they have this wrong. NOTE: The likelihood is an estimate of the chance of each system being a tropical cyclone in the Region for each day. 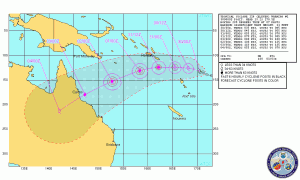 This entry was posted in Cyclone Yasi, Weather and tagged australia, cyclone anthony, cyclone season, cyclone tasha, cyclone yasi, far north queensland, image, infrared, mtsat, noaa, Weather on 2011-01-30 by pete.